These are Neat, Solidly Built with a comfortable feeling, Durable Rubber Coating. Amazing Quality especially for the low price, nice sharp image. Handy to slip in a pocket. They can be used for, bird & wildlife watching, motor racing plus any other leisure activity needing binoculars. 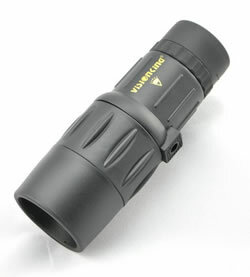 8x Magnification - Front Lens Diameter 42mm, Prism Glass BAK4, Field Of View (ft/1000yds) - 114, Minimum Focus down to 800mm. Length 155mm, Width 55mm, Weight 302grams, Extending Eyecup, Water proof/Fog proof, Tripod Adpater, Diopter Adjustment. Comes with case, strap & cleaning cloth.